Rice Pudding is one of life’s simple pleasures! 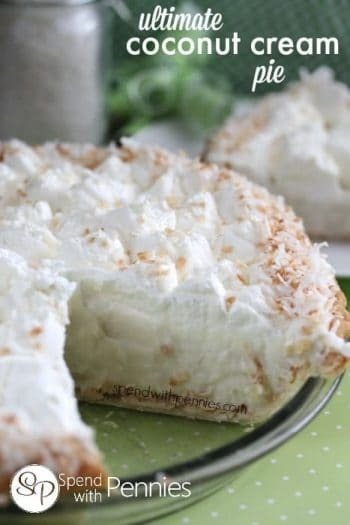 This is, 100% hands down, my husband’s favorite dessert recipe. 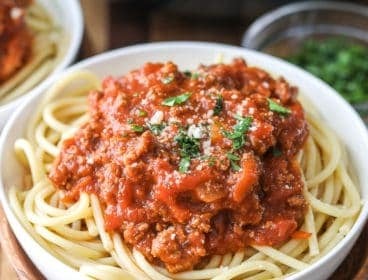 So rich and creamy, I know your family will love as much as mine does! 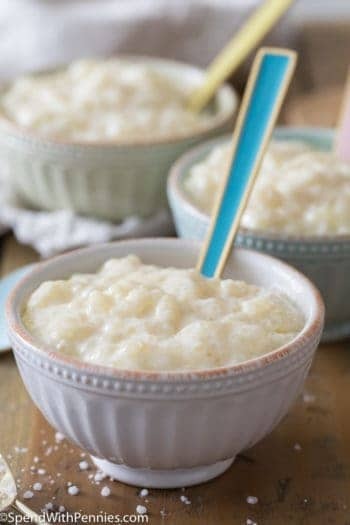 Made from kitchen staple ingredients like white rice, milk, sugar, vanilla and cinnamon, rice pudding is very simple to make (yet anything but simple in flavor). 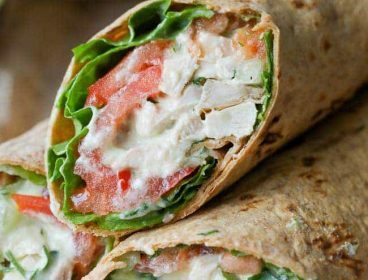 It is the perfect example of ordinary ingredients made extraordinary! Rice Pudding is a delicious creamy dessert we cannot get enough of. I find the best desserts, like Easy Bread Pudding or Apple Pie, tend to be those from our childhood that use ingredients normally stocked in our kitchens! 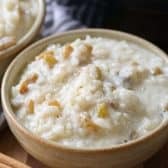 This rice pudding recipe starts with cooked rice (or even leftover rice) simmered in sweetened milk. Once thick and creamy I add in raisins and a dash of cinnamon for the perfect end to any meal. 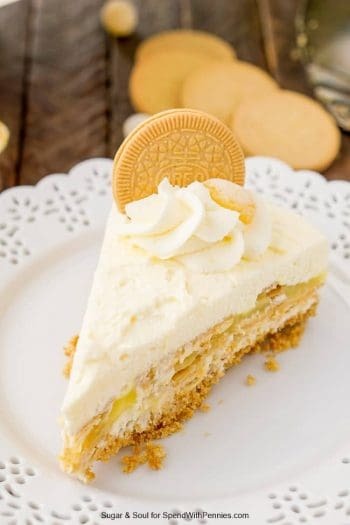 This wholesome, heart warming dessert is near and dear to me because it is, without question, my husband’s favorite dessert! While I don’t eat a ton of sweets, this time of year definitely makes me want to wrap my hands around a nice, warm bowl of rice pudding! 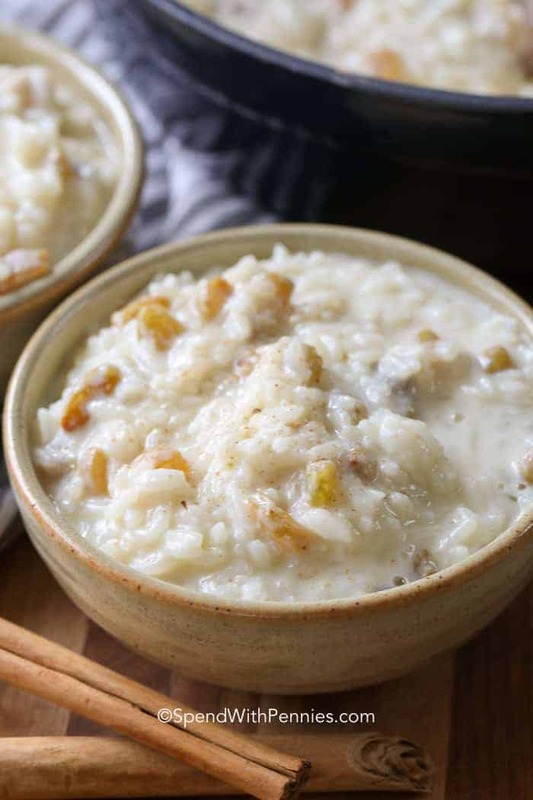 Rice pudding is a creamy vanilla based pudding that has been thickened by simmering rice (and with a couple eggs). 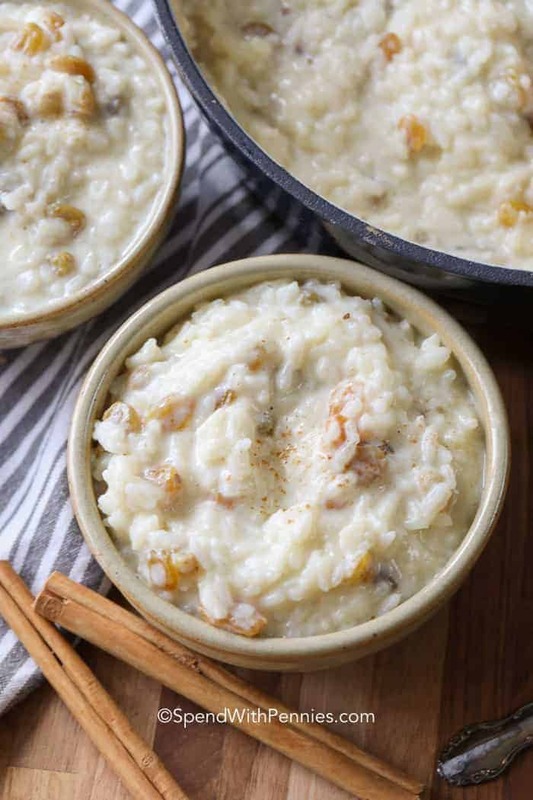 As we know it, rice pudding is most often flavored with vanilla, cinnamon and raisins. While this is the version we grew up with, most other countries have a version of rice pudding as well! Some countries add different types of rice or other spices but most have the same basic idea! I almost always make it with long grain white rice but you can use pretty much any kind of rice or any spices. 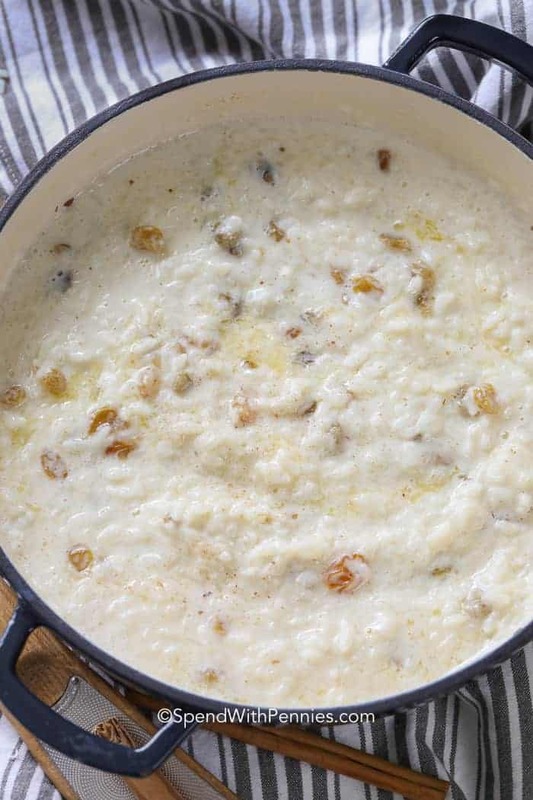 There are many variations of rice pudding but of I find this one comes out the creamiest of all. I always make rice pudding with cooked rice. 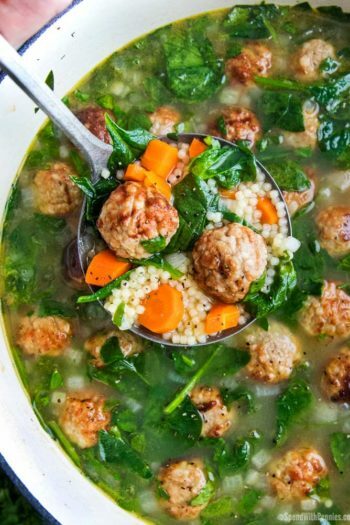 While you can cook it just for this recipe, it is a great way to use up leftovers from last night’s dinner too! 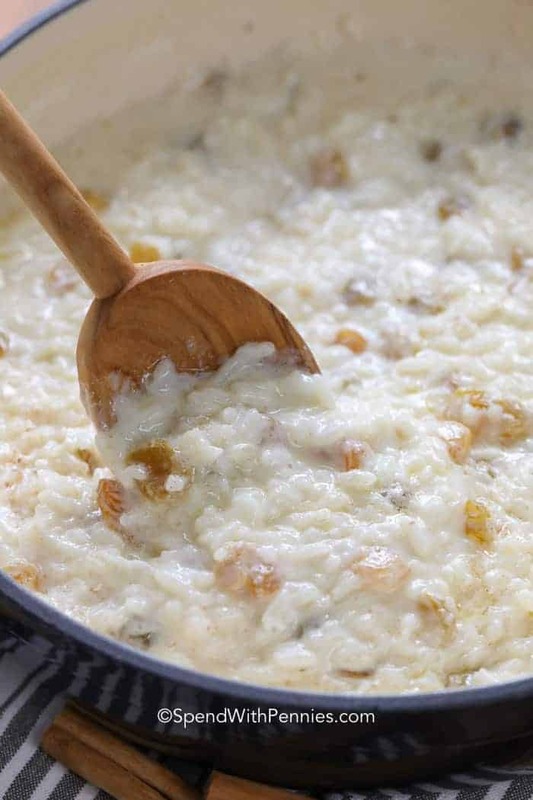 How to Make Rice Pudding with Cooked Rice: Simmer cooked rice, milk and sugar until thickened. Add eggs, cinnamon, vanilla and a bit of butter. Once thickened the eggs are tempered before adding to the rice pudding which is really easy to do, it keeps the eggs from turning into scrambled eggs. Tempering eggs simply means adding the hot rice mixture to the eggs a little at a time. Serve with whipped cream, a small scoop of ice cream or as my husband loves it, a splash of heavy cream over top. If you happen to have leftovers (this is never a thing in my house), you can definitely freeze rice pudding. It will last 3-4 days in the fridge or a couple of months in the freezer. Defrost in the refrigerator overnight and warm on the stove or in the microwave. 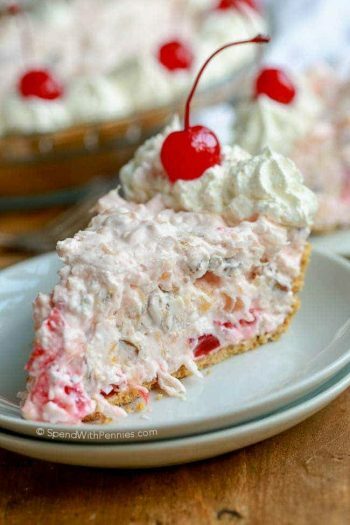 Keep this recipe handy for a quick and easy dessert your family will love and will ask you to make again and again! Creamy Rice Pudding is one of life's simple pleasures! So rich, creamy and delicious, it is a dreamy dessert your family will love as much as mine! Mix the cooked rice, 1 1/2 cups milk, sugar and salt. Cook uncovered over medium heat for about 15-20 minutes. Whisk egg and remaining milk in a bowl. Add about 1 cup of the hot rice mixture to the egg while stirring. Stir the egg mixture and raisins into the rice. Cook 2 minutes more. Serve warm and garnish with whipped cream and a sprinkle of nutmeg and cinnamon.